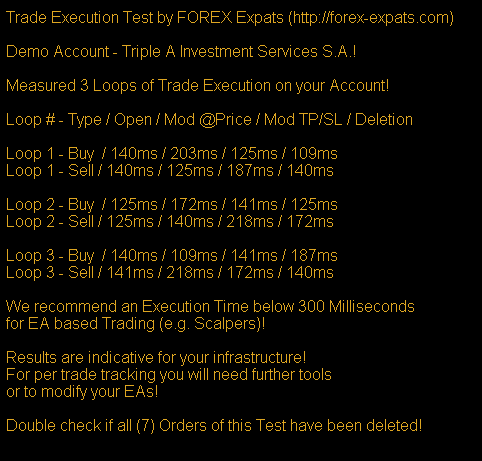 How fast is the Trade Execution of my Broker? 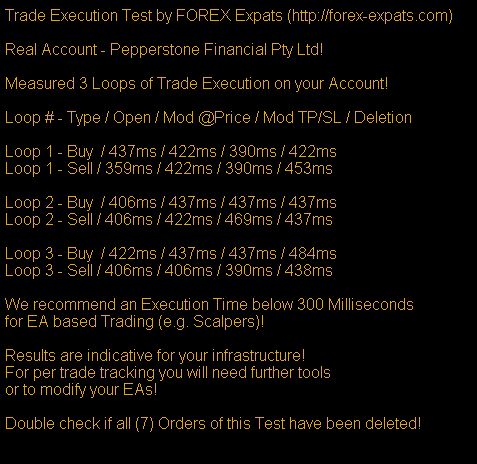 I found a free and useful EA to test the trade execution speed of brokers. It creates 7 orders (at a very high price level so it shouldn’t be triggered), then edit and delete them, measuring the execution time. 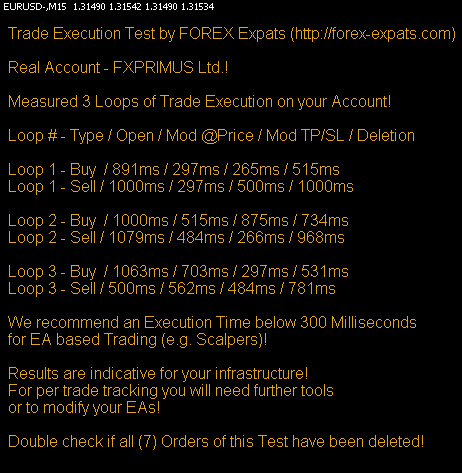 I’m talking about ExTest ForExpat V3, available at forex-expats.com (at the bottom of the page).